I can say if you as a reader are going to enjoy this but I did not. Honestly I was just a little disgusted pretty much as soon as I found out the main plotline. It was just sickening. Like, I personally can't stand robots in general. And I didn't think it was as polluted with robots as it turns out it it. Again, this is my own personal peevish thing so I can't say you wouldn't enjoy it. I was extremely disappointed with the ending. Absolutely horrified. There was no conclusion at all, even as a cliffhanger conclusion. I will most likely have to get the sequel to give my poor brain a completion, however I did not like it at all. 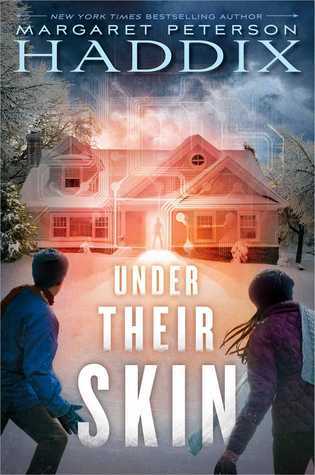 Sign into Goodreads to see if any of your friends have read Under Their Skin.